A perfect place. A city without traffic. A dog that doesn't poop. All products of the brilliant mind of Dr. X, but hell hath no fury like a mad scientist fired by a giant corporation. In this unique action-puzzler you take control of TOM, a virus created for one purpose: revenge. Hack your way through brain scrambling puzzles while maneuvering through a thumb cramping maze of enemies. 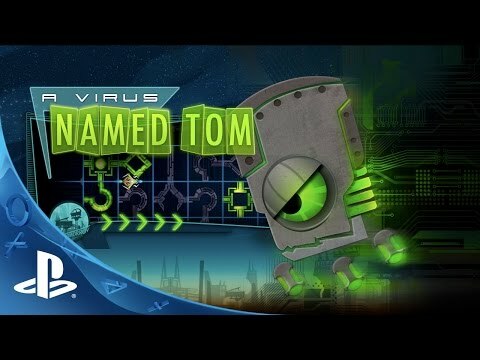 A Virus Named TOM was released on PS Vita 1114d ago in the US and the UK.